From residential to commercial moves, we are fully equipped for all relocation requirements. We offer a range of flexible home moving and commercial removal packages, tailored to suit your unique needs. We move your possessions with the greatest possible care. With over 10 years experience in the removals industry, your valuable items are guaranteed a safe passage in relocation. Locally, we offer house and office removals in Milton Keynes, Bedford, Aylesbury, and Northampton to anywhere in the United Kingdom. Offering efficient services in Milton Keynes and surrounding areas, our team is dedicated to guaranteeing the safe and secure collection and delivery of your belongings. We provide full relocating services to any location in the UK and all the resources needed to carry out your removal with maximum efficiency. We have 3.5 tonne to 18 tonne vehicles, tools for dismantling and reassembling furniture, and all the equipment needed that guarantees a professional removal service. We also have all the packaging materials required that guarantees a safe and secure transport service for your domestic or commercial belongings. All of this is offered at a very competitive rates. Keep the stress of moving properties to a minimum with the removals services we at MK Relocation have to offer, for homes and businesses across Aylesbury. 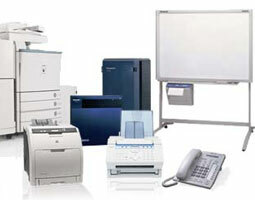 MK Relocations also provides all boxes and packaging needed for your home or office move. 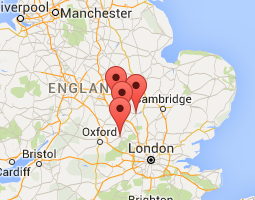 Operating throughout Bedford, we undertake removals of any size so there is no job too big or too small for our team. Hiring an 18 tonne truck with driver is a cost effective way you to carry out your 3-4 bedroom house removal in one trip. From residential to office and commercial moves, we are fully equipped for all relocation requirements. We offer a range of flexible home moving and commercial removal packages, tailored to suit your unique needs. MK Relocations works in partnership with the Big Yellow Storage Company in Milton Keynes. We also recommend providers who offer container storage throughout, Buckinghamshire, Northamptonshire, and Bedfordshire. We recognise moving is a stressful affair, so whether you are moving down the road or long distance, MK Relocations clients move safe in the knowledge that their possessions will be fully insured. Professional Removals Service Milton Keynes, MK Relocations specialise in providing domestic, commercial and piano removals services for customers in Milton Keynes as well as Aylesbury, Northampton and Bedford to anywhere in the United Kingdom. We have been operating in the removals industry for over ten years, and during this time we have become recognised for our outstanding service as well as our consistent customer satisfaction. Offering both removals and packing services, we aim to make your move as straight forward as possible. 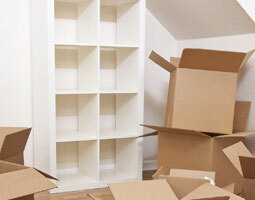 From small home removals to large office removals, MK Relocations will undertake any task with great responsibility. Our friendly team of professionals aim to go above and beyond to ensure whatever removals service you need runs smoothly, from door to door. Don’t just take our word for it, find out what our clients say about the service they received here. We are more than happy to help, if you’re not sure what you’ll need, click here to contact us and we will give you a free quote.